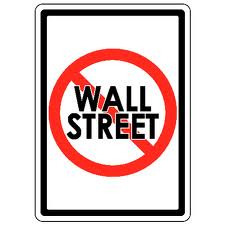 Wall Street is a location, but lately it has become synonymous with greed and ethical lapses when companies take advantage of investors to maximize their profits and executive bonuses. Major financial service firms, whether they are headquartered in New York or not, make up the “Wall Street” that is regularly vilified by media for cheating investors. You have seen the headlines. Or, maybe you missed them. If you need proof Google the name of any Wall Street firm and add one of the following key words: Fraud, scam, fine, or scheme. The sheer volume of regulatory actions and investor claims may shock you. I know there are some great financial advisors who work at these firms. They stay because they are locked in with stock options, retirement plans, and other perks that are provided by the big firms. Unfortunately, none of the perks benefit investors. The real problem is the executives they work for. For example, the executives at Goldman Sachs decided to create a $1 billion CDO that was based on toxic mortgages. Investors lost $700 million in less than 18 months. Who is at fault? The executives that authorized the development of the product or the advisors who sold the product to unsuspecting clients? I am willing to place the blame on greedy executives who also authorized investments that bet against the success of the CDO. But, Paladin is not willing to admit the company’s advisors into its Registry of Financial Professionals. Regardless of their personal ethics, they simply have too many potential conflicts of interest based on whom they work for. If they aspire to be in corner offices, they have to maximize revenue per client relationship and that is not achieved by doing what is best for investors. They have to “play ball” so company executives can buy their $1,000 wastebaskets and pay themselves eight figure bonuses. Or they have to leave. Thousands of more ethical advisors have done just that. They left Wall Street firms to go independent. In fact, the industry has a name for them. They are called breakaway brokers. In this case, independence means they can do what is best for their clients and not be concerned about what is best for the companies that employ or license them. Once they go independent, these advisors are eligible for admission into Paladin’s Registry.